If the Division of Child Protection and Permanency (“DCP&P”), formerly known as DYFS, removes your children from your home, the Division will need to place the children in a safe and appropriate home, whether it be a relative’s home or a stranger’s home. Unfortunately, if there are no relatives that are readily available to care for the children, DCP&P will place the children in a non-related resource home. The bottom line is that the Division must comply with the Resource Parent Licensing Act, found at N.J.S.A. 30:4C-27.3, et seq. when placing a child that has been removed from his or her family’s home. 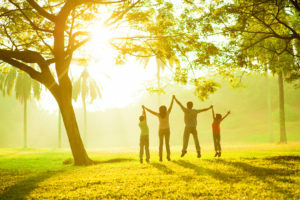 If you are involved with the Division and your children have been removed from your care or DCP&P is on the verge of taking custody of your children, you should contact a knowledgeable DCP&P attorney at the Tormey Law Firm to discuss the possibilities of where your child may or may not reside. Our Morris County DYFS defense lawyers represent clients throughout NJ including in Budd Lake, Mount Olive, Dover, Denville, Parsippany, and Boonton. Contact our offices now for immediate assistance at (908)-356-6900. The initial consultation is always provided free of charge. The Resource Parent Licensing Act – N.J.S.A. 30:4C-27.3 et seq. The Resource Parent Licensing Act is based on the public policy findings by the Legislature that each child requiring resource family care should reside in a safe home with a nurturing substitute family who can meet the child’s individual needs. The Legislature further declared that the most effective way to ensure the health, safety, general well-being and physical, emotional, social, and educational needs of a child residing in a resource family home is to require the annual inspection and monitoring of a resource family home and to obligate a person to secure and maintain a license in order to provide resource family care to a child. Accordingly, the Legislature determined that it is in the public interest to license resource family parents and regulate resource family homes in order to ensure the safety, health and proper development of children placed in resource family care. N.J.S.A. 30:4C-27.4. Due to the statutory requirement that children placed by the Division be cared for by licensed resource parents, there are lengthy and nuanced regulations that control who can and cannot be licensed as a resource parent in New Jersey. N.J.A.C. 10:122C-1.1 et seq. As part of the licensing process, the Division will conduct Child Abuse Registry checks to ensure that there is no substantiated history of child abuse or neglect. In addition, the Division will conduct State and Federal criminal history checks. The Division will also conduct an on-site inspection of the resource family home. The regulations further outline how many children can live in one home and they establish standards for the appropriate care of the children including, but not limited to standards of education, medical care, access to recreational activities, and proper nutrition. Importantly, the regulations also require Parent Resources for Information, Development and Education training (“PRIDE” training) before a license can be issued to a resource parent. The child abuse and neglect attorneys at the Tormey Law Firm are fully familiar with the Division of Child Protection and Permanency’s licensing standards. If you are currently in a situation where DCP&P may be taking custody of your children or the Division already has removed your children from your family’s home, you are no doubt dealing with a nerve-wracking situation and you probably have countless questions. If you or a loved one is involved with the Division and your children have been placed into resource care, don’t hesitate to contact an experienced DCP&P lawyer at the Tormey Law Firm to discuss your case and the options you may have regarding the temporary placement of your children. Our attorneys are available now at (908)-356-6900.